Hurry! This offer is valid for the first 29 VIP customers only! 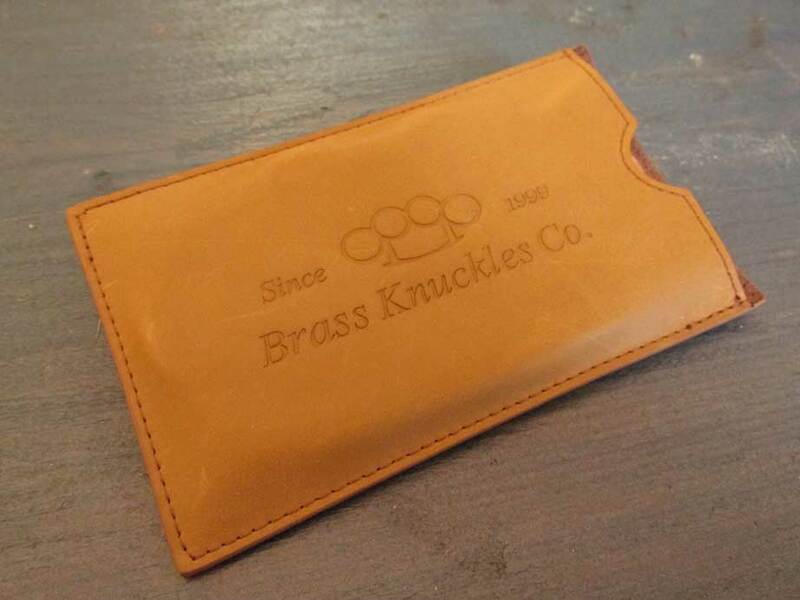 Exclusively from The Brass Knuckles Co. Very Limited Quantities - Order now to avoid disappointment! During the Civil War, violent crime increased dramatically in New York City. Nearly 2,000 people were killed in the 1863 Draft Riots that burned lower Manhattan to the ground. And the newly formed Metropolitan Police Department was made up of 300 raw recruits with no training or experience. They broke up fights and busted street gangsters with nothing more then their iron guts and their newly issued, 1864 NEW YORK COPPER KNUCKLES. Now you can own an exact replica of these knuckles exactly as they were issued to police officers in 1864. OWN HISTORY'S MOST FAMOUS KNUCKLES!!! For the first time ever you can own history's most famous knuckles. Never before has a historical replica of this kind been available for purchase and at an unbelievable price too! Hollywood production companies have paid over $2,000 each for custom made reproductions of these legendary knuckles to use in feature films and T.V. shows. 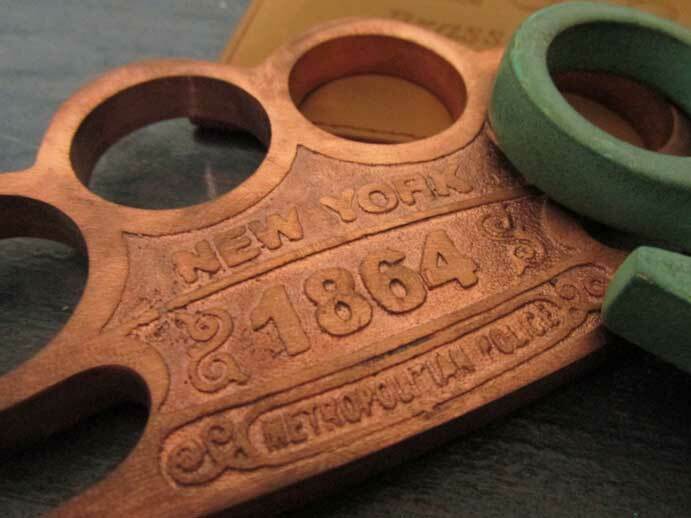 Now you can be one of the very few collector's who can say they own the infamous 1864 NEW YORK COPPER KNUCKLES. This is a very limited custom production run. That means this may will be your only chance to own a historically accurate replica of the 1864 NEW YORK COPPER KNUCKLES cast in 100% solid copper as issued by the New York Metropolitan Police to its officers in 1864. This is sure to be a coveted collector's item in years to come. Don't worry! These don't have a fake antique finish that you'd see on a toy or a theatrical prop. Since your 1864 NEW YORK COPPER KNUCKLES are made of 100% solid, unfinished copper they will develops a beautiful green patina as they oxidize over time just like the statue of liberty. Why? Because they are cast from the same type of high-grade monument-quality copper that is used to make statues, plaques and historical markers. You'll swear these knuckles are 150 years old! These are fully functional historical replicas that will last for generations to come. Protect your collectible with our Genuine Leather Knuckles Case included free with this promotion.